The Arizona Cardinals promote responsible drinking and positive fan behavior at University of Phoenix Stadium. The Cardinals Fan Code of Conduct and the details of the Cardinals alcohol management plan that appear below ensure that fans have a safe and fun experience. The Arizona Cardinals are committed to creating a safe, comfortable and enjoyable experience for all fans, both inside University of Phoenix Stadium and throughout our parking areas. The Arizona Cardinals Code of Conduct was developed for all fans attending our games to enjoy the experience in a responsible fashion. Ticket holders and others who violate these provisions will face ejection from the parking areas and/or stadium, along with possible arrest and potential revocation of season ticket privileges without refund. Fans are expected to present a valid hangtag to enter the game day parking areas, sit in their ticketed seat location and produce their game ticket when asked by Arizona Cardinals, parking lot, stadium or security staff. Fans wearing clothing deemed obscene or indecent will not be allowed entry inside or will be subject to ejection from University of Phoenix Stadium. Foul or abusive language and obscene gestures will not be tolerated. Behavior that is unruly, disruptive or illegal in nature will not be tolerated, including verbal or physical harassment of opposing team fans. Intoxication or other signs of impairment related to any type of illegal drug or excessive alcohol consumption will not be tolerated. Displays of affection or other behavior not appropriate in a public setting will not be tolerated. Excessive standing in seating areas which blocks the view of other ticket holders will not be tolerated. Interference with the progress of the game or failure to follow instructions of Arizona Cardinals, parking lot, stadium or security staff will not be tolerated. Any type of food, bottles, cans, alcoholic beverages, coolers, etc. The Arizona Cardinals, Bud Light, Hensley, Coca-Cola, Rojo Hospitality Group and the Arizona Governor’s Office of Highway Safety have teamed up to implement the Bud Light “Good Sport” Designated Driver Program. Fans 21 year of age or older with a valid driver’s license can sign a pledge to be a designated driver pre-game on the Great Lawn as well as inside the stadium at the 100 and 400 Level Guest Relations offices and Club Level concierge. In appreciation of the commitment to getting their friends home safely, all designated drivers who sign-up are awarded a coupon for one soft drink or non-alcoholic beer. Designated drivers also have the opportunity to win prizes each game and are eligible for a grand prize which will be presented on field at the final regular season home game. 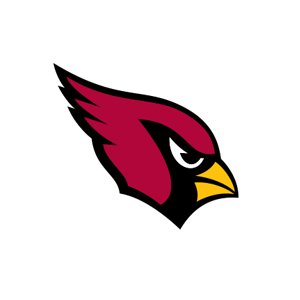 Continuing for the 2016 NFL season, the Arizona Cardinals are facing off against the San Francisco 49ers and the Seattle Seahawks in the Bud Light Good Sport Designated Driver Challenge. Cardinals fans who pledge to be designated drivers at University of Phoenix Stadium earn the Cardinals a touchdown (6 points) in the Challenge. Cardinals fans who “Like” the Cardinals Designated Driver Challenge Facebook page earn the Cardinals an extra point in the Challenge. Please make the pledge to be a responsible Cardinals fan and help the Cardinals win the Challenge!